Counseling Santa Fe, NM: Caring and Competent. Find the right therapist near you. Counseling in Santa Fe, NM. Find the Right Therapist. Safe, effective, and caring. Affordable therapists near you in Santa Fe, New Mexico will help you make the changes you want. Solutions Treatment Center, located in beautiful Santa Fe, NM offers Intensive Out Patient, Extended Care and Transitional Living Programs to those struggling with eating disorders, body image issues, emotional eating and binge eating as well as anxiety, depression, co-dependency, emotional trauma, grief and loss and substance abuse. By utilizing a variety of techniques from psycho-education, to art, cognitive behavioral and solutions focused therapies, we help clients heal the past, understand their affect on the present, and learn healthy coping skills for the future. You Have Found The Best Therapists in Santa Fe, NM. Let's Get Started and Change Your Life. 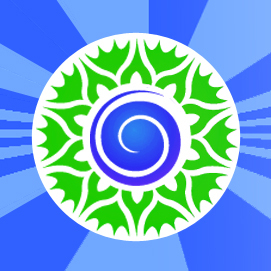 Welcome to our New Mexico listing of values-centered therapists in Santa Fe NM. Counseling in New Mexico with Theravive aims to be real and effective, going deep to resolve issues, heal broken relationships, and give you the right tools to move forward in a healthy and free way. Contact forms are "open" 24/7 it's free and easy to reach out, so select a Santa Fe therapist above and start your new journey today.